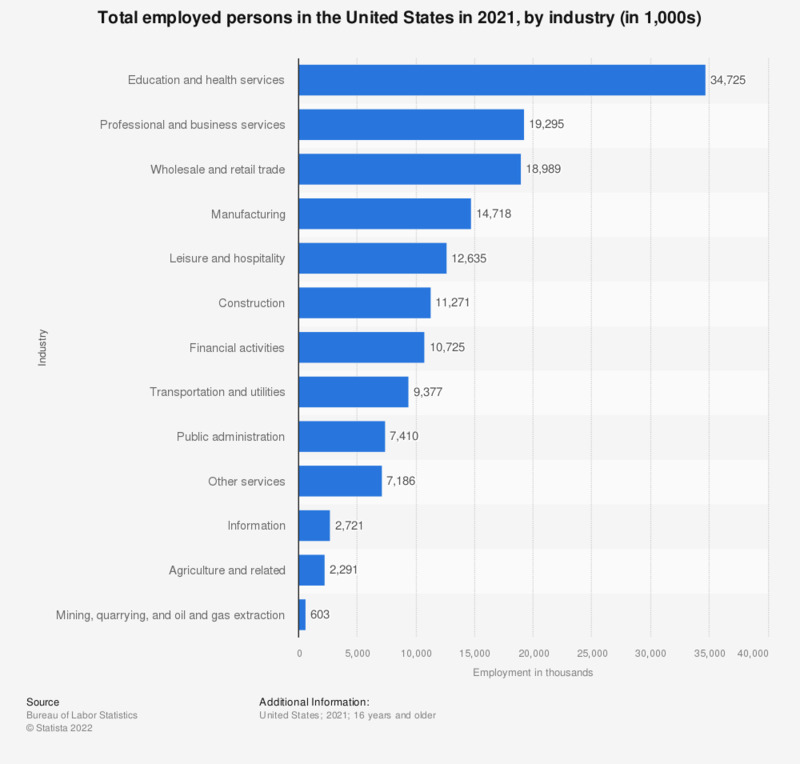 This statistic shows the employment in different industries in the United States in 2018. In 2018, about 7.42 million Americans worked in government or other public administration jobs. At this time, there were approximately 128.57 million full-time employees in the U.S. The number of full time employees has increased since 2010, when the 2008 financial crisis caused employment numbers to drop substantially.